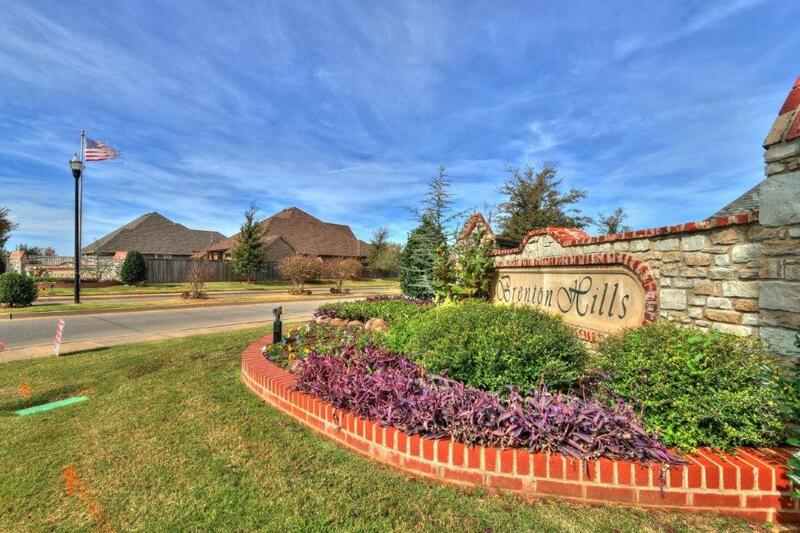 Click here to see Homes in Brenton Hills in Edmond OK. 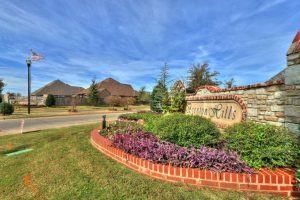 The Brenton Hills neighborhood in Edmond OK is known for its family friendly atmosphere, convenience, great schools, and well maintained properties. Plenty of green spaces mark this suburb of Edmond, located not too far from the downtown area. This stunning neighborhood is chock full of beautiful homes just off Claremont Boulevard on Brenton Hills Avenue. If you love a green, outdoor style of living, this is your place. Brenton Hills is situated between North Western Avenue and North Santa Fe Avenue, with several nearby coffee shops to get your morning caffeine fix, such as Bean Juice, Starbucks, Café Veranda and Menchie’s. The Homeland grocery store is just down the street, as are fast food restaurants such as New King Palace Chinese Restaurant, Wing Street, Pizza Hut, Burger King and Subway. The Edmond Public Farmer’s Market is set up on Saturday’s in season selling fresh fruits and vegetables at 311 South Klein Avenue in downtown Oklahoma City. Easily hop on the I-35 exchange to get to Oklahoma City and other major points. Featuring deluxe Old English Tudor and traditional-style brick homes, Brenton Hills is ideal for those looking to live amid lush landscapes in large homes that can accommodate larger sized families. Most homes here feature spacious backyards, walk-in closets, built-ins throughout, master bed and bath, gourmet kitchen with stainless steel appliances, fireplaces, and open floor plans. The average home size ranges from 3,600 sq ft to 5,500 sq ft, with prices ranging from $400,000 to $600,000. Brenton Hills residents enjoy access to nearby Arcadia Park for hiking, biking and fishing, as well as picnicking and camping. Oklahoma’s Deep Fork River is also nearby for those who love to partake in water sports like water skiing or boating. This gated community has a low crime rate and a highly rated public school system. Brenton Hills students are served by the Edmond Public School system. Kids in this neighborhood go to the following public schools: Charles Haskell Elementary, Summit Middle and Santa Fe High School. There are also several private schools in the area. Quality medical care is within easy reach for Brenton Hills residents. They rely on INTEGRIS Health Edmond, OU Medical Center, and AMG Specialty Hospital for all medical and surgical care, as well as emergency, rehab, and labor and delivery services. 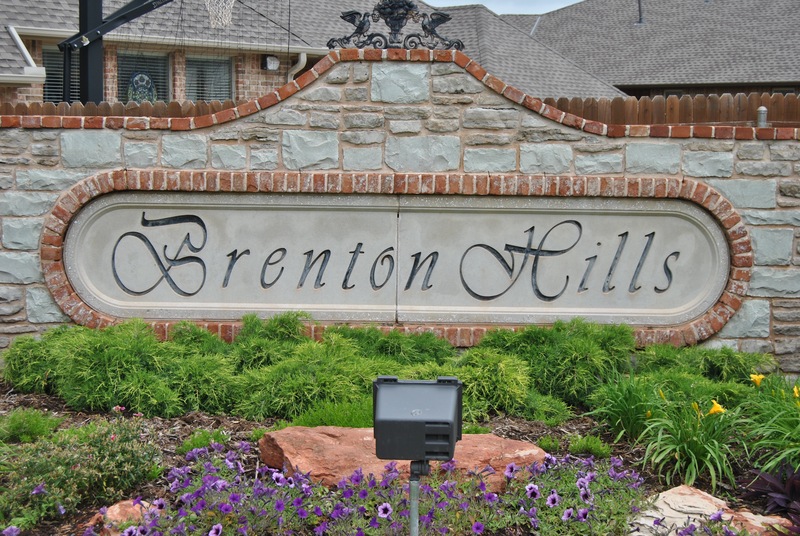 Brenton Hills is serviced by the city of Edmond for all of its public services and utilities, including water, sewer, trash, and power. Oklahoma Natural Gas and OGE Energy Corp provide natural gas for this neighborhood. AT&T and Cox provide all Internet, phone and TV services. Residents in Brenton Hills pay annual dues to belong to the homeowners association, which is used for upkeep of the properties as well as seasonal maintenance. The Covenants, Conditions, and Restrictions (CC&R’s) outline the plan of development, property rights, membership, maintenance, insurance and casualty losses, administration, assessments, architectural standards and use restrictions, rule making, and other general provisions. Brenton Hills abides by a set of CC&Rs that outlines these stipulations. Lots of development going on in Chisholm Creek – as well as MANY existing options for shopping, restaurants, entertainment – AND in Edmond School District!